StudentUniverse today announced that it has extended a successful US partnership with discount airfare aggregator KAYAK into the UK. 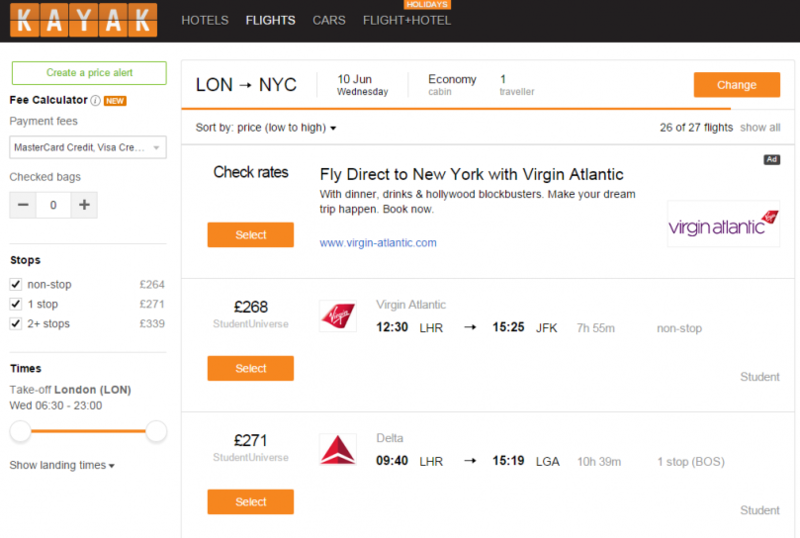 Through this agreement, KAYAK.co.uk will now display discounted fares from StudentUniverse to student visitors. With our fares published on KAYAK.co.uk, we are able to help students searching for budget travel to more easily access the best student fares, compare them in real-time with the prices offered by other airlines and aggregators and book them on StudentUniverse.co.uk. When a student finds a StudentUniverse flight via KAYAK that they wish to book, they can sign up to become a member of StudentUniverse (if they aren’t already) for free, and after automatic verification of their student status, they are on their way to their next adventure.